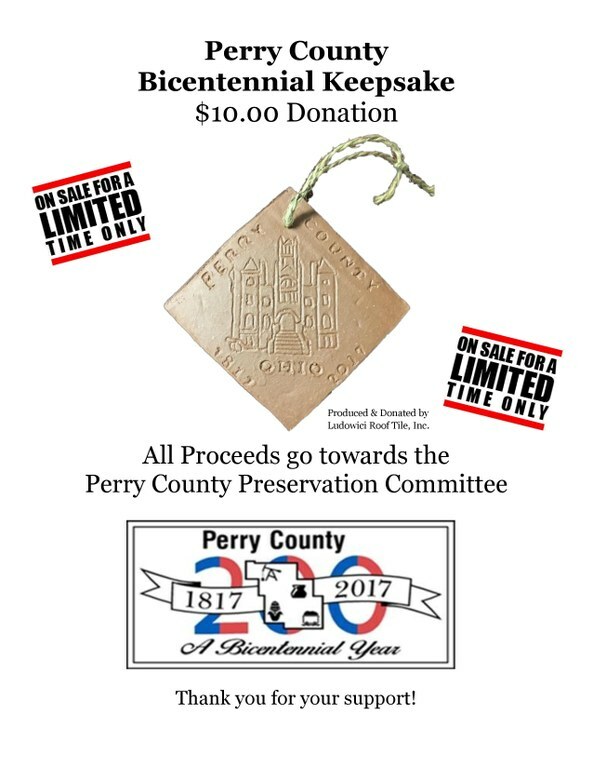 A limited quantity of the Perry County Ohio Bicentennial Keepsakes produced and donated by Ludowici Roof Tile are still available. A limited quantity of the Perry County Ohio Bicentennial Keepsakes produced and donated by Ludowici Roof Tile are still available at the Perry County Tribune office on South Main Street - New Lexington, OH. A $10.00 donation is requested with proceeds going to the Perry County Preservation Committee.